A perfect quiet, comfortable retreat setting for anyone considering making changes to their health, diet, and general lifestyle. 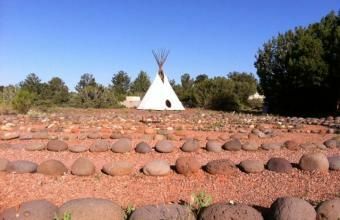 Sedona's Wellness Retreat offers Individualized Advanced Therapy programs & Retreats in the beautiful setting of the World Famous Red Rock Country of Sedona, Arizona. We specialize in taking care of you and your needs. We customize the program for your needs and health concerns. Our physicians are licensed and have extensive training and experience in treating conditions through healthful means focusing on cleansing. Each Wellness Plan is individualized and flexible. We address mind, body and heart components recognizing that healing is most often long-lasting when addressed from numerous perspectives. Believing this we make every effort to ensure that each program also allows for participation in our activities calendar. Our activities calendar maintains 3-5 daily events including healing music, educational videos, art and movement classes, nature walks as well as lectures and workshops. Although our plant-based diet and advanced therapies are pivotal for healing, we often hear from our guests that it was during one of these activities programs that they had an “eye-opening” experience that they could really change and heal. During your stay, we have the privilege of serving you so all your time is used for healing and learning. We will send you home fully equipped to continue what you have learned and experienced while with us. We give you the opportunity to experience the information that you are receiving. Welcome to your Journey to a healthy living! Please contact us to discuss what we can do for you. Cleanse - Fasting - Purification - Restoration Retreats Our Medically Supervised customized retreats and nutritional programs consists of fresh organic vegetable juices organic meals made of raw and cooked food and recommended supplemental vitamins, minerals and enzymes. We also offer guided water and juice fasting programs as well. 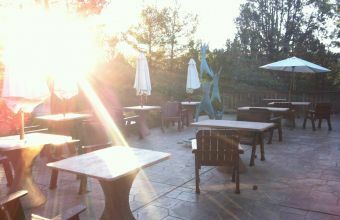 Located In the heart of world famous Sedona Red Rock Country lies our Mission/Arts & Crafts style Arizona Retreat. The award winning Lodge at Sedona's retreat provides a serene estate setting and pampering guest services for an Unforgettable Sedona, Arizona WELLNESS EXPERIENCE. 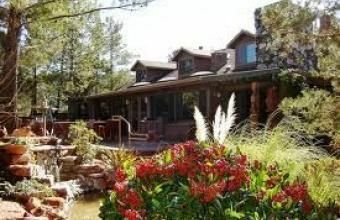 Experience secluded, rustic elegance at this retreat situated on two acres of serene gardens, mature pines, calming waterfalls, meditative labyrinths, medicine wheel, original art and unique rock formations. Your private room is waiting for you. Our Cleanse and Fasting retreats bring people from all over the world to work on their health. 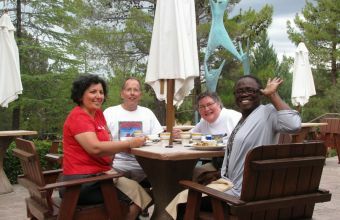 You can choose to have your alone time and space, or enjoy the company of other guests participating at the retreat.